Of the many benefits to trading options, the most valuable trait is the flexibility they provide in custom designing strategies. That’s just my opinion of course. Other option traders may point to leverage or some other clear benefit. However, the ability to create tailor made strategies to meet your personal risk/reward criteria is something very special. 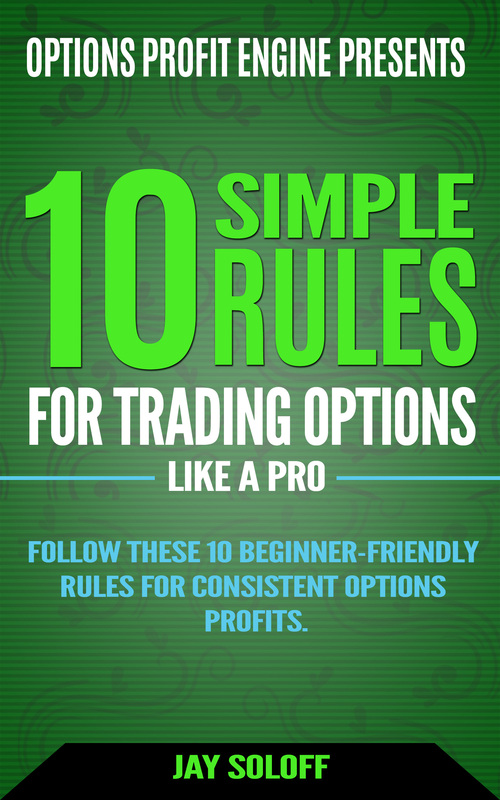 When looking at options strategies other traders use, you can often guess what the goals of the strategies are. But sometimes, there is simply no way to tell. We don’t know what’s going on behind the scenes and what the traders are trying to accomplish. There are just too many possibilities and scenarios. One strategy that is pretty straightforward when it comes to interpretation is the covered call. Covered calls, or buy/writes as they are often called, are popular for many reasons. Yield enhancement is the primary benefit, and earning extra income also helps reduce risk. A covered call involves buying (or already owning) a stock and writing (selling) a call against the shares, typically at a higher strike price. The goal is to generate income from the short call, while still allowing your stock to retain some upside potential. Covered calls can be used on stocks, ETFs, indexes and most any other major asset. They can be paired with dividend payments to provide a nice, steady source of cash flow. The primary drawback is they cap the upside potential of the underlying asset, so you may not want to use them in an extreme bull market. Covered calls are particularly popular used in conjunction with major stock indexes. That’s because a stock index doesn’t tend to move as fast as single stocks, but they also typically don’t pay that juicy of a dividend. Of course, a stock index is also inherently diversified so you are also eliminating much of the idiosyncratic risk you get with single stocks. Related: Want to Make a Big Bullish Bet On Facebook Ahead Of Earnings? For example, a trader recently made a very large covered call trade using Invesco QQQ Trust (QQQ). 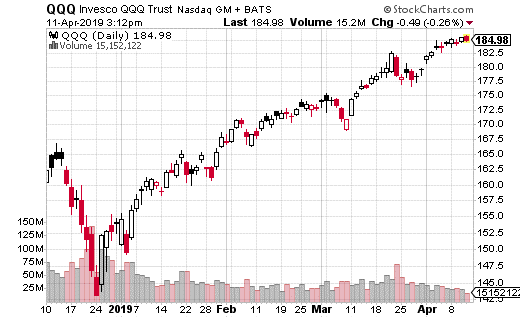 QQQ tracks the tech heavy Nasdaq 100 index and is a very popular and heavily traded ETF. But, it only pays a 0.8% yielding dividend. With QQQ at about $185, the trader purchased 2 million shares of QQQ and sold 20,000 May 17th 192 calls for $0.89. The premium is collected regardless of the result, so the trader pockets about $1.8 million right off the bat. That’s only about a 0.5% yield, but it’s also basically a month-long trade. Annualized we’d be looking at almost 6% in yield. That’s not bad for a major index. Plus, the trade can still make money up to $192 in the stock price due to share appreciation. If the ETF climbs to $192 or above by May expiration, the trade will achieve max gain. In dollar terms that’s about $7 dollars in stock appreciation plus the $0.89 from the call or roughly $15.8 million. In percent terms, it’s roughly 4% in a month. What’s more, it may not be that much of stretch to suggest QQQ can move up $7 in a month. After all, it’s earning season, and it won’t take many good tech stock results to boost the ETF. Plus, this is a trade you can easily make in your account if you are moderately bullish on tech stocks as we head into earnings.